After cleaning the resin tanks from the release agent with a warm soap bath and an old toothbrush, they were ready to get painted. 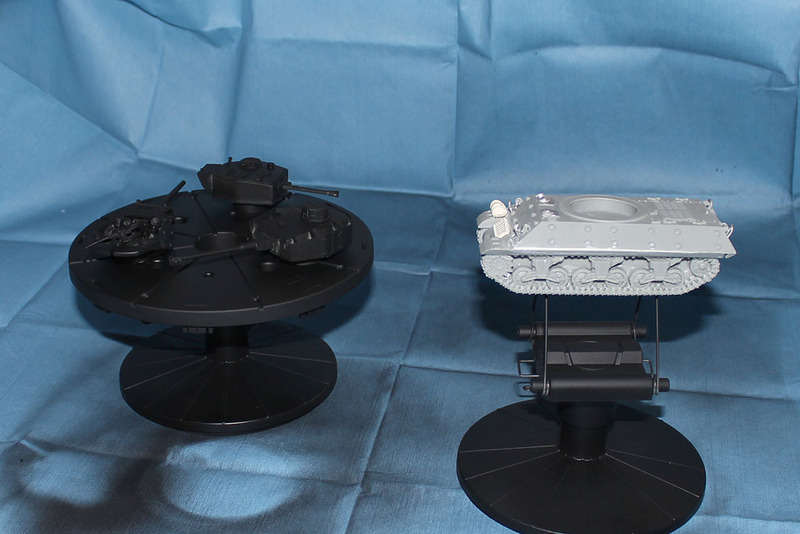 First time the tamiya painting stand got used, and i find it pretty usefull. 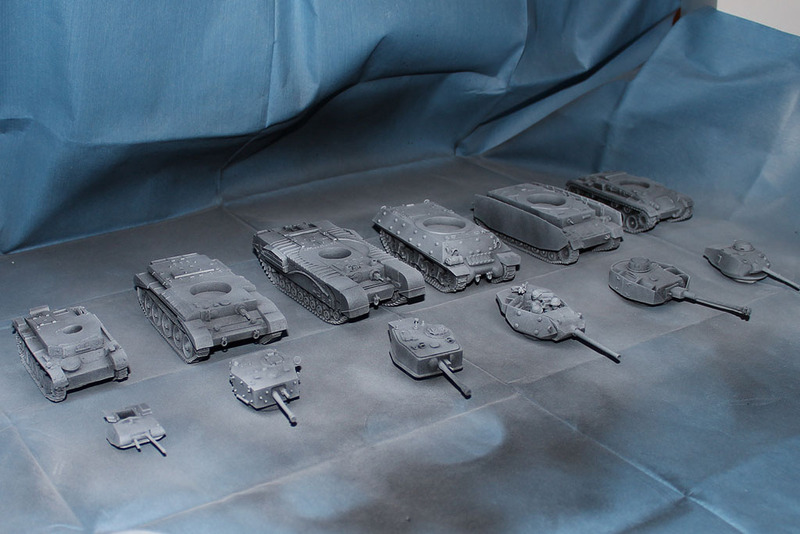 All of the tanks got a solid black primer from the army painter cans. And afterwards a zenital lighting / white dusting. The german tanks will get the Vallejo Dunkelgelb (beside the early models, which will be grey), the US tanks Olive Drab and the British a proper Army Green. But first letting the paint dry properly. 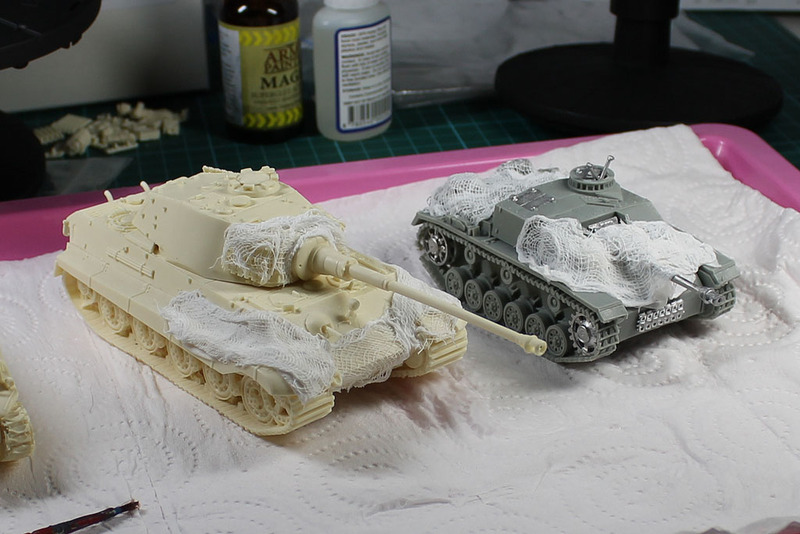 For the large Königstiger / Tiger II and the StuG i was trying some netting. When it is completely dried, it will get the same treatment like the other tanks. The kits are from Bolt Action and Waffenkammer / JTFM.